The question was whether the color coding could be associated with an RSVPMaker event template. The answer is yes — if you assign a category to the template, it will be applied to all the events you generate based on that template. 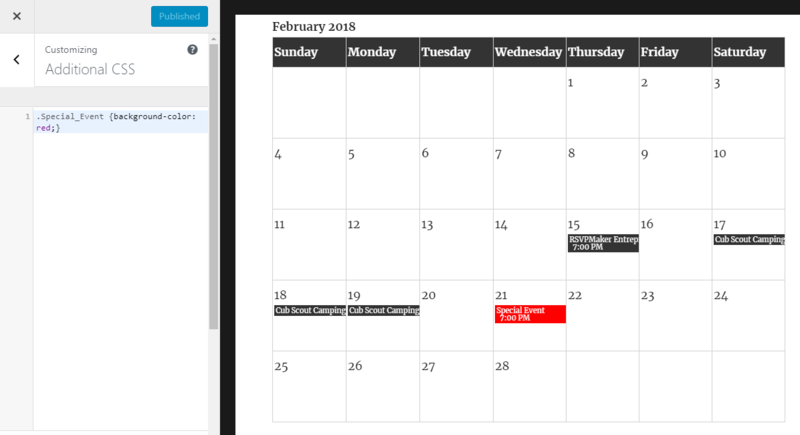 Here’s an example of a color-coded calendar and event listing. I’m not offering this as an example of good design necessarily, just an example of what’s possible. This one does not have colored styles. 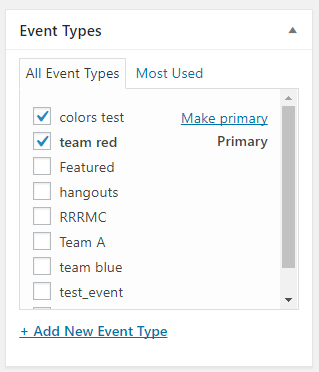 Sample showing how to style event posts by event type. This means we have two class tags we can target .team_blue vs .team_red (on the a tag) and .rsvpmaker-type-team-blue vs .rsvpmaker-type-team-red (on the enclosing div or the article tag on a single post view). In addition to styling the div or article tag with class .rsvpmaker-type-team-blue we can target the headline, paragraph and div tags etc. inside of it as in this code for the example above. If you do not want to hack your theme’s style.css or the stylesheet used by RSVPMaker, you can add a few quick CSS customizations of this sort using the Additional CSS tab of the Customizer. The important thing is it works. Previous Previous post: I hate outdated websites. If the event or the deadline is past, why are you telling me about it?